My Toilet Is Blocked My Drains Are Smelling My Gutters Are Overflowing There's A Problem With My Septic Tank My Drains Are Gurgling & Bubbling! At Dyno Rod we let our customer feedback do the talking for us when it comes to quality and level of service our team delivers. Since January 2018, we have surveyed over 600 of our customers and have achieved a 99.2% satisfaction rating. Thank you to all who take part in giving us the feedback on a weekly basis. 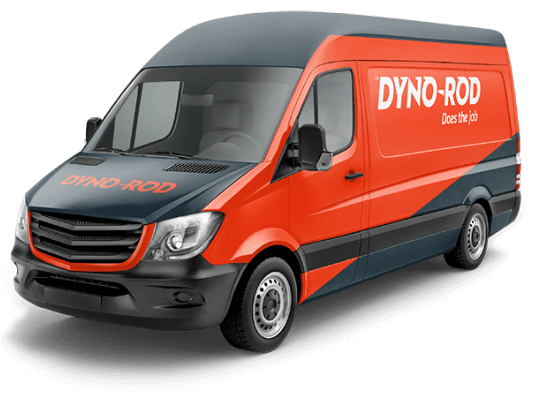 Whatever drain problem you might have at your home, Dyno-Rod have a solution. Click here to find out more about how we can help or call to book a service visit. Dyno-Rod provides a wide array of drain services designed for the commercial sector. Click here to see how we can help your business. Click here to read more about the drain services we have specifically developed for our industrial customers. I want to put on record the wonderful service and back-up I have received from you. In the course of fixing a blocked drain last Tuesday, the toilet was irreparably damaged. Your serviceman took responsibility for the damage and reassured me that it would be addressed promptly. Which it was, much to my surprise, the very next day, A new toilet was installed and the damage repaired. Your employees Andy and Cristy provided efficient and courteous service at all times. Well done Dyno-rod and many thanks. Your engineer Kevin Sheedy cleared a blocked pipe at my house this morning. He did a great job, and I wanted to email you to compliment him on a job well done. He called ahead, and he arrived on time. He was polite and professional, and he went above and beyond. He is a credit to Dyno-rod. I felt obliged to contact you to express our appreciation for the work carried out yesterday at our home, Leafy Hollow Westminster Road Foxrock, by Sebastian. We have seldom come across a more hard working, meticulous, diligent worker with a really positive attitude to the challenges of the job at hand and when he finished our driveway looked pristine despite the major overhaul of the drains beneath the surface which he had undertaken so successfully! Therefore we were compelled to get in touch with you and thank you for sending such a great representative of your company to take care of the job for us. My name is David and I’m just sending a short email to say a huge thank you to your team and in particular Peter Byrne who attended to a blockage in my home last night. I am sure that only too often you receive complaints via email and in saying that I wish to convey my thanks for the service provided. It is not easy to allow a complete stranger to come in and take over your home, but Peter did so in a professional, efficient and most importantly, clean manner. My home is newly renovated from top to bottom so I was quite worried with all the machinery being brought in and pipes hitting off the white walls. Peter attended to the drains as best he could and after almost 1 hour of work he cleared the blockage – I am so grateful to him for doing this. He cleaned up after himself and apart from the expected smell, the house was left in the same condition as he found it. Please pass on my regards to him for a job well done. I would say that unfortunately I hope that this is a service that I will never need again (the nature of the job) but because of Peter I would definitely recommend your company to friends or to anyone who asks.